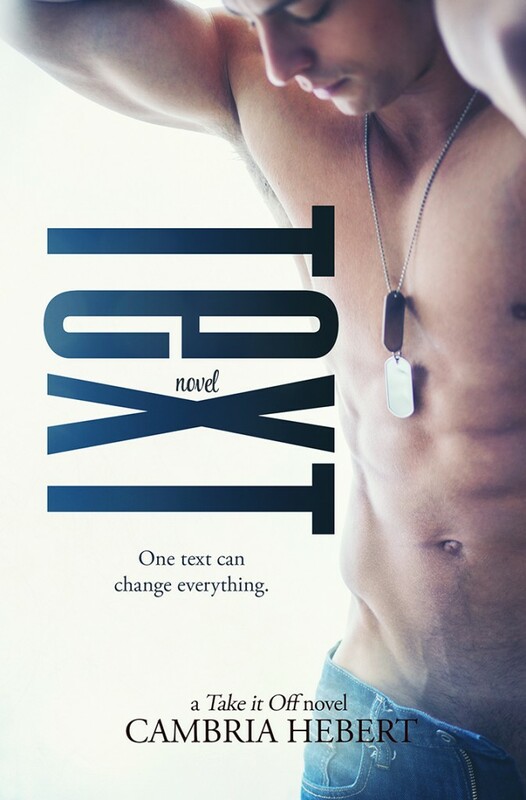 Check out the cover of Cambria Hebert’s new book in the Take it Off series: Text. Genre: New adult contemporary – due to graphic language and sexual content this book is recommended for readers 18+. ***This is a new adult contemporary novel and contains sexual content and graphic language. It is not intended for young adult readers. ***One text can change everything. thank you so much for being part of the reveal!